Successfully Added 7 Inch Sun Visor TFT LCD Monitor - 360 Degree Swiveling -Black to your Shopping Cart. A great new Sun Visor TFT LCD Screen with the cool added bonus of being able to swivel the screen independently from the visor. 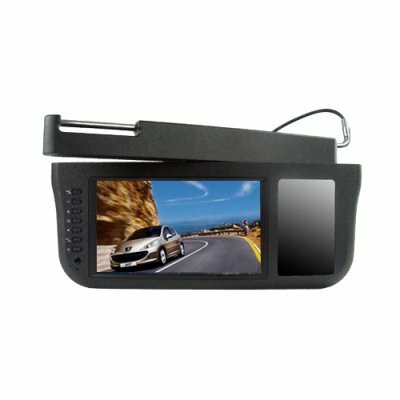 You can use this monitor to view movies, or view rearview images if you have a car reverse camera set, and all in high definition clarity. Make use of the limited space in your vehicle by having your sunvisor do more! Now you can make it an integral part of your every day driving experience with our exclusive model 1800R sunvisor monitor. A great factory-direct price makes this item a nice gift for yourself and your car, or even better as a resale item for your online store. Order yours now and make your daily driving experience the best it can be!.